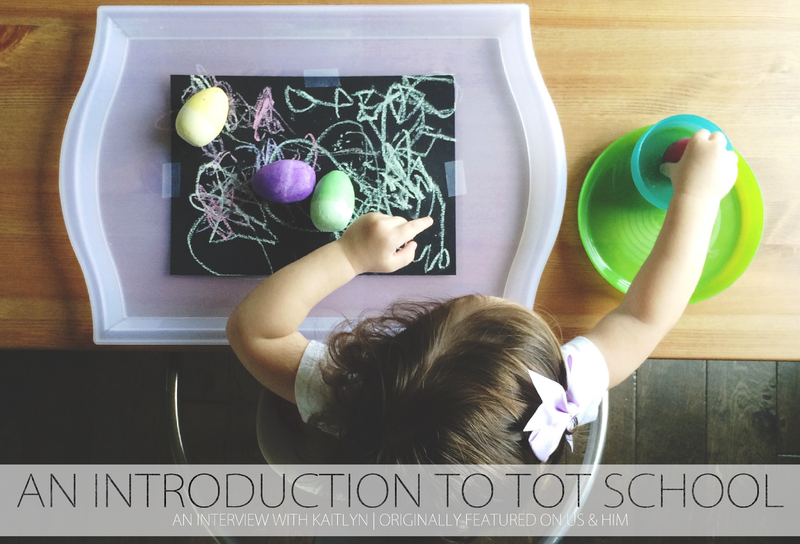 Today I am super excited to share with you about Tot School! My lovely friend Misty from over at The Do It All Mama (formerly Us & Him blog) originally interviewed Kaitlyn and featured this post and so kindly allowed me to share as well! Sharing is caring, right? And we are both thrilled to tell you about Simply Learning, or rather have Kaitlyn tell you about Simply Learning! Simply Learning Kids Tot School officially starts on August 31st and we are waiting with baited breath for it to start, all of the activities look so fun! 1. Tell us a little bit about yourself and your family! I'm Kaitlyn & I'm stay at home mom. I have a 23 month old daughter, Rilynn and we recently had another baby girl which completely turned our life as we knew it upside down! 2. What is Tot School & Simply Learning Kids? Tot School is the fun introduction of different themes or concepts to your toddler. Contrary to what the term implies, Tot School doesn't need to look like "school" at all! 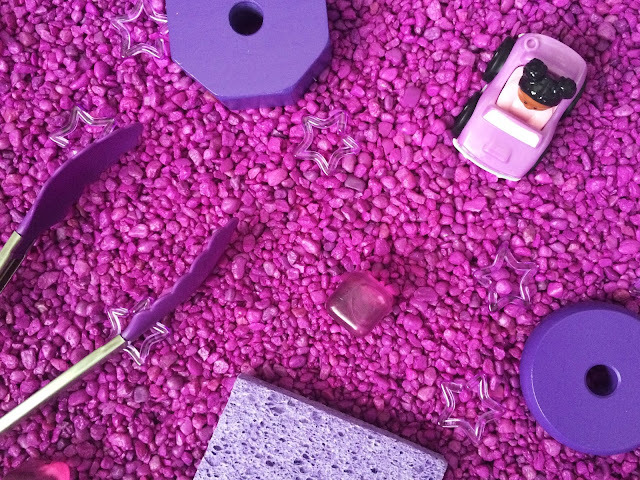 It should be fun & engaging for your little one - they most likely won't even realize they are learning new things. The best way I can sum it up in one sentence would be: "Taking their everyday experiences and steering them in particular directions in order to encourage growth." 3. How did the idea for Simply Learning come to be? I had our second baby when Rilynn turned 20 months & my free time quickly dwindled. While balancing a newborn, I battled a ton of guilt over how much screen time my daughter was getting every day. I made the decision that I wanted to do a full Tot School curriculum with her - one that I could prepare for ahead of time so each day I had everything I needed to offer her educational and fun activities. I spent hours searching all over the internet, but couldn't find what I was looking for. I wanted a one stop shop for themes, activities, supply lists and anything else I would need to teach my daughter. So when nothing came up on Pinterest or Google, I decided to create one myself. I was going to do all of the work anyways - I might as well share it with any other parents who had been searching for the same thing. I also hoped that offering something like this would encourage others to engage with their children in meaningful ways. 4. How can someone get involved in Tot School activities? 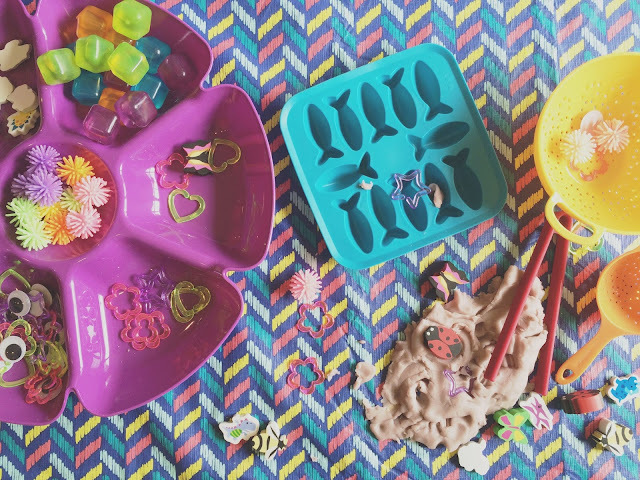 I've gathered everything you could possibly need to do 52 weeks of different themed activities with your toddler! There are arts & crafts, hands on learning, books, music, streaming shows, apps and so much more. I've written a detailed post about how you can utilize all of this and that can be found here. Parents often ask me if it costs them anything to participate - it doesn't. It's absolutely FREE! 5. Can a parent pick and choose which activities they want to follow along with? Yes! That's what I think is so great about this curriculum. I collect hundreds of activities & you can choose what works best for you and your child. You can decide to do all of the same things as us or pick completely different options. 6. Where do you find your ideas for Simply Learning Kids activities? The biggest source for my ideas is Pinterest. That's the reason I utilize the website so heavily in the curriculum. I think so much can be said from a picture & it's easy to choose what activities you are interested by seeing them listed visually. I also save any awesome Instagram posts that I come across. There are so many parents out there with great ideas! 7. Do you desire to homeschool your children past preschool age? And if so, do you think you'll continue with your blog and posts as your children grow? This is a great question. I never thought I would consider homeschooling, but during the planning of Simply Learning I did a little research on the topic. I really love the idea of being able to tailor my daughters' education to them as individuals. Just because one of them learns a certain way, doesn't mean the other one will benefit from that technique. I also think it is so cool that you can decide what your "classroom" will look like. You can spend your days reading outdoors or take numerous, hands-on field trips each month - you don't necessarily have to be strapped to a desk in a classroom 40 hours a week. 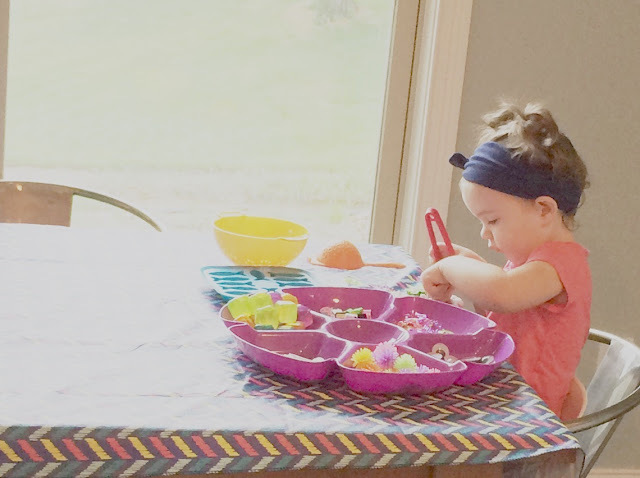 My husband and I have decided to use Simply Learning & preschool as a trial run to see if homeschooling would be a fit for our family in the future. If I continue past the preschool age, I definitely think there is a possibility of blogging & additional curriculums. There are already a ton of homeschooling resources out there, but if I was already doing the work behind the scenes, I would be happy to share our plans as an additional resource for other parents! 8. Do you have any tips for parents who'd like to branch out beyond the scheduled Simply Learning Kids activities each week and do more? I think the biggest thing that isn't accounted for in our curriculum is field trips. We are planning to do them with our daughter, but because each city is so different, I found it hard to incorporate into the weekly lessons. 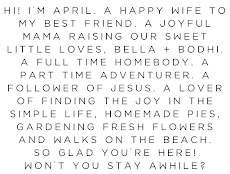 For example, next year there is a theme involving camping and our plan is to take a family camping trip! I really encourage parents to look for local things they can do with their toddler to reinforce the themes they are presenting to them at home. 9. 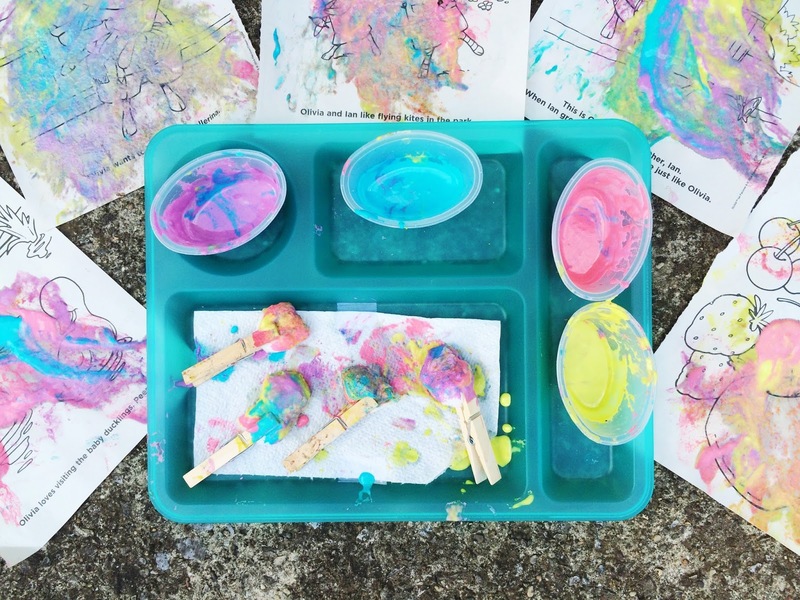 Which activity that you have tried has been your favorite so far?I think both my daughter and I really loved the cotton ball painting activity. 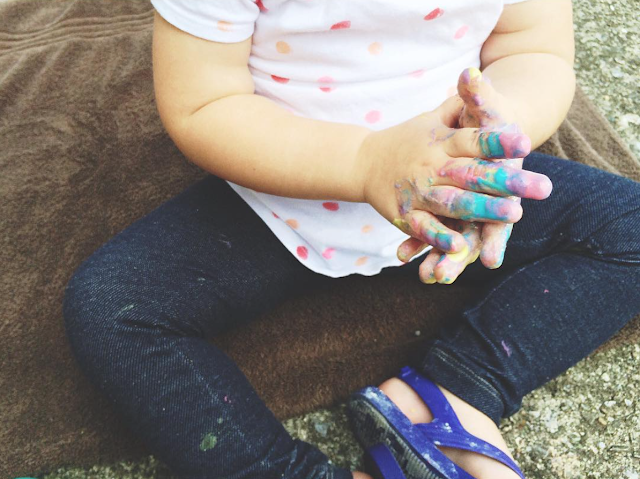 She was able to get as messy as she wanted because I used homemade flour paint. It doesn't stain or ruin anything, so she went crazy with it!